1 How to prevent hair loss? 2 What affects our hair? 4 How can you help your hair and avoid falling out? The most important question is: What causes hair loss in a woman? Many people wonder about this question! But, the simple fact is that hair loss in women is much more common than men. Despite the fact that men rocking a bald head are considered to be more formidable, baldness indicates certain problems in the human body. However, unlike traditional treatments or prescriptions, folk remedies for hair loss do not harm the body, and therefore it is more appropriate to use or try out for the first time! So, let’s turn to some of the best natural remedies, and try to restore our hair. We all lose some hair when we brush or take showers, in limited quantity though. This is a natural process for both men and women who do not have any health problems. Hair loss is a normal part of our body’s growth – each hair has its own life cycle and when the time comes it “dies”, giving way to a new one. What causes hair loss in a woman? In order to accurately diagnose the problem, it is desirable to consult a specialist, as the reasons may be different. Stress can affect all organs and bodily functions, including growing hair. Fatigue, poor sleep, anxiety, smoking, and alcohol may also act as factors. 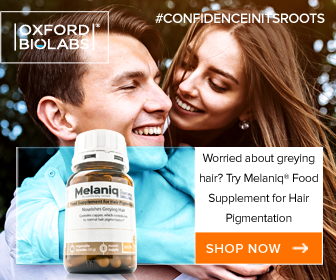 Our choices and sometimes our genes can lead us to experience chronic hair loss, against which it will be difficult to fight by any means, including folk remedies. But you can still aid the reversal process. Effects of medication (antibiotics) and other medical procedures are known to weaken the entire body (like chemotherapy). Hormonal imbalance ). Hormonal imbalances in the body can also cause hair loss. Of course, this cause can be observed in women, specifically with disorders that are associated with the use of contraceptives, menopause or puberty, as well as the postpartum period. Even folk remedies, in this case, cannot always help. The change in temperature (especially hypothermia of the hair, excessive heat when drying with hair dryer, tongs, straightening iron etc). Seasonal hair loss Other factors are seasonal hair loss, which is seen in women, as a result of vitamin deficiencies. Lastly, unbalanced nutrition and diets (lack of certain trace elements weakens the body as a whole). Thyroid disease also leads to hair loss. And, in this case, folk remedies for treatment will be ineffective. The same applies to diseases of the gastrointestinal tract and infections. Pharmaceutical drugs along with natural remedies will help eliminate the very cause of hair loss. This can affect both men and woman. The discreet danger is some of the hairstyles men and women have. Excessive use of bleach and other chemicals, perming, tight ponytails, and braids can lead to more hair loss. Statistics show that 1 out of three women in the world suffer hair loss, especially in a particular period of her life. Hair is an indicator of our health and responds to the beginning of a disease first when other symptoms have not yet appeared. 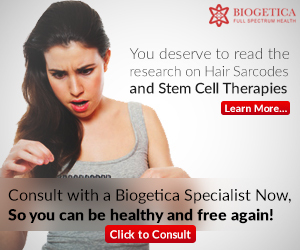 If you find that hair loss exceeds the norm, do not hesitate to contact a specialist. Folk remedies for hair loss are effective methods of getting rid of this problem. The advantage is that they do not adversely affect the body. It takes time to work, but with effective results and are considered the best ways to stop hair loss. Which folk remedies should people suffer from hair loss pay attention to? Many products used for hair treatment using natural remedies are available right in our home! These ingredients include onions garlic, egg yolks, and herbs, castor oil and red pepper, as well as other biologically active ingredients that have a ton of vitamins and useful properties. It is worth saying that all folk remedies for hair loss are affordable and easy to use. Let’s talk about the most effective products that may help you quickly and permanently get rid of hair loss. These remedies have earned great reviews from people who have used them and I’m going to introduce them below. Among the fans of home remedies against hair loss, yeast mask is very popular to use. And for good reason! Yeast is rich in vitamin B, which is necessary for hair health. To prepare the yeast mask: Mix half a teaspoon of dry yeast with 2 tablespoons of heated burdock oil, a couple of raw yolks and a tablespoon of honey. Then you can apply the mask directly to the hair roots and keep it in for about half an hour. Rinse with warm water. Castor Oil is popular because it nourishes the scalp and hair, and has a strengthening effect on stimulating new growth of hair. The simplest, but a very effective method of treatment is warming castor oil in a jar in a bowl of water, allow it to cool slightly before applying to the hair. Follow that by wrapping the hair in a towel. Keep it on your head for at least five hours. The best option is to make a mask on your hair and keep it all night. Use this method, once a week for two months, and your hair will become thick and strong. This remedy has proven to be the easiest and best in the fight against hair loss. It perfectly replaces treatments with medications and does absolutely no harm. Yolk for beauty and density. Apply a mixture of several yolks to the scalp, rub it thoroughly. After half an hour, rinse your hair with a decoction of peppermint. Burdock against hair loss is known to the world since ancient times. The root, leaf, and seed are used to make medicine. Numerous studies have documented its potential to treat several common ailments, including cancer, diabetes, and inflammation. Burdock root has been a part of traditional Chinese medicine. For the preparation of a miracle cure, we need the roots of the plant. To make a simple treatment we would need ten to twenty grams of roots to pour in one glass of boiling water and cook them for fifteen minutes. After the product cools down, you just simply add it to the water to rinse the hair or rub it into the scalp. This hair treatment should be continued for a month. 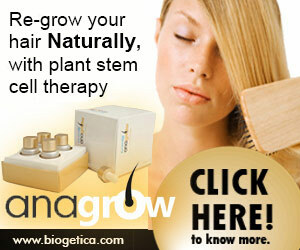 It is possible to stop hair loss in women for a long time, get a thick, luxurious hair and improve the hair follicles. Another miraculous remedy that is available to everyone and that can save you from hair loss is nettle. The first documented use of this herb was when Roman soldiers battled the cold by rubbing the leaves on their arms to induce inflammation and irritation. It has now spread across the world and has been used by medical practitioners since the 19th century because of its abundance of chemicals and compounds that can help the body function optimally. Prepare this remedy by pouring boiling water (about 1.5 cups) over the 3.5 ounces of grass. Add 1.5 cups of organic vinegar. After that, the broth should be infused for 4 to 5 hours. Then just pour the liquid into a spray bottle and generously sprinkle over your hair and make sure to sprinkle not only the hair itself but also the roots. This method is not only effective against hair loss, but it also helps to make the hair soft and shiny. Salt treatments against baldness quite a popular tool used in folk medicines for hair beauty. The usual rubbing of salt into the scalp is not only considered an excellent method of fighting against hair loss but also allows you to fight many diseases of the scalp and hair. Salt can be used against seborrhea, the stiffness of hair, dullness and greasy hair. You can use both iodized and ordinary salt – it’s variety will not affect the hair. In any case, get a striking effect, which has a positive impact on the hair. The main thing to regularly use this tool. The remedy must be kept on the head for at least fifteen minutes, but it will be even better if you hold the mask for several hours. This folk method against baldness is peeling, able to exfoliate the upper, keratinized layer of the skin. By massaging the scalp, blood flow is activated, and the hair becomes smooth and silky. Among the famous folk remedies onion known for its ability to help regrow hair. One small study published in the Journal of Dermatology indicated that applying onion juice to the scalp might help hair regrow in some people. The study involved participants who had alopecia areata, which is a non-scarring, patchy form of hair loss. Researchers found that hair growth started after 2 weeks of using onion juice, which was applied to the scalp twice daily. Despite onion juice having a very strong odor, the hair under his influence enriched with vitamins, the roots, and the hair follicles are stimulated. The simplest remedy for hair loss is freshly squeezed onion juice, which is enough in the amount of two or three tablespoons, you can add one tablespoon of organic olive oil. It is rubbed into the scalp and hair roots, after which the head is wrapped and kept the mixture for at least two hours. It is better to rinse your hair with lemon and vinegar after this mask to defeat a strong smell which can remain for several days. Apply this mask from at least every day in severe hair loss, but if the hair does not require such intensive treatment, it is enough to use it twice a week. You can use onion juice together with honey, burdock and other folk remedies for hair loss. If the smell is too much to stand, adding a little lemon juice or rose water helps. It is worth saying that onion juice is an excellent stimulant for hair growth in women. Caution, anyone with allergies for onion should not use this remedy. Not everyone knows that it is a tool used against intense baldness, which allows increasing hair growth. Rich in vitamins and minerals, this vegetable can be used both separately and in combination with other products. Carrot juice can be mixed with egg, starch, honey, and vegetable oil. Get a unique, excellent mask designed for use from hair loss. Even regular consumption of carrots, especially its juice, can improve the overall condition of the hair. Among the well-known folk remedies aimed at hair treatment, a special place is occupied by bitter, ubiquitous grass called Wormwood. A traditional medicine widely uses it for the treatment of severe alopecia in men. This potent herb has a long history of use stretching back into Ancient Greece and the time of Hippocrates. It was most commonly used for the expulsion of worms. Wormwood is ground into a pulp, while you can use fresh or dry grass, and applied to bald areas. The maximum effect of the treatment will be in the case of complex measures used against the formation of baldness and stimulation of hair growth. You can use this remedy along with taking folic acid and methionine supplements. In this way, you may completely get rid of hair loss in men. Carefully chop the parsley root, squeeze the juice into a glass. Soak the juice in gauze and put it on your head under a warming cap. After an hour, rinse your hair with warm water. If you have an aloe at home, take 2 old leaves, grind and squeeze the juice. Put the gauze soaked in juice on your head, making sure that the juice does not get into your eyes. To do this, wrap the compress with plastic wrap. Rinse the juice off in half an hour. Pour 3.5 ounces of green needles pine tree (spruce) into 4 cups of boiling water, warm in a water bath for 20 minutes. Strain the broth and rub it into the head for 15 minutes before washing the hair. This recipe not only allows you to treat hair loss in women but also stimulates the growth of new hairs. How can you help your hair and avoid falling out? As I have said, sometimes the problem of hair loss is solved quite easily. Follow our advice and maybe the results will surprise you. Watch your routine. It is important to get enough sleep, spend every day in the fresh air for at least half an hour. Give up bad habits. Smoking and alcohol have a negative impact on health and beauty. Avoid hypothermia or overheating of the head. Hats should be your constant companions: in winter it is a hat made of wool, in summer – light Panama or straw hat. Take care of your hair properly. It is better to say ” no ” to metal combs not only during hair treatment but in general. The same applies to the constant use of Curling irons and hot hair dryers. The less you hurt your hair, the better. It is also important to choose the right care products designed for people prone to hair loss. 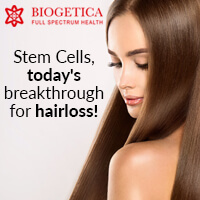 I want to share with you this amazing company I found, an absolute leader in advance care that develops a range of naturally-based products to help people avoid unwanted signs of aging, such as hair loss, premature greying, and skin aging. It was founded by scientists formerly of the University of Oxford under the leadership of Dr. Thomas Whitfield. Treatments completed with the TRX2® Molecular Food Supplement for Hair provide incomparable results for the hair conditions and the results are permanent and long-term without needing any extra hair preservation treatment. The TRX2® capsules are the prime supplement of Hairgen Center. 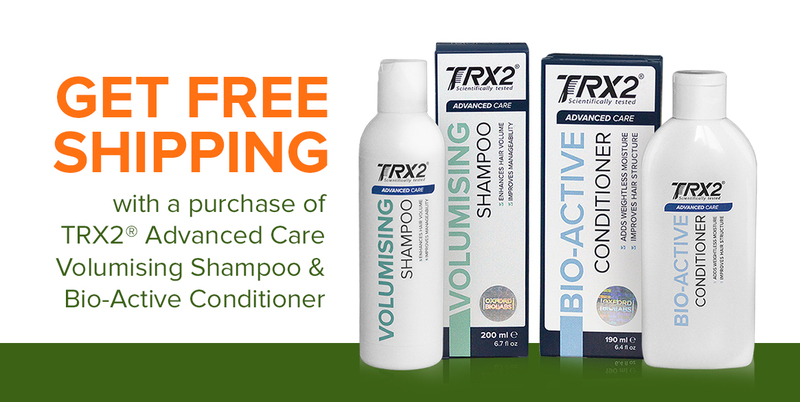 This is because TRX2® is a 100% naturally-based hair supplement and it is suitable for everyone, plus it’s gluten-free, vegetarian-friendly, has no side effects, and most of all it provides outstanding results for hair loss, thinning and shedding. AVEDA is known worldwide for great hair products, which improves the condition of the hair follicles and normalizes the microflora of the scalp, helping to reduce hair loss. Shampoo based on natural growth stimulants increases blood circulation, helps to restore damaged hair structure, prolonging their life cycle. Look for some products I selected for you that can help you reverse hair loss. No complicated styling, perming and hair coloring! This will only make the problem worse. Massage your scalp with your fingers or a wooden brush. This will improve blood circulation and enhance the nutrition of the hair follicles. Also, you can buy a laser comb and massage with it. This well-established device in the course of professional cosmetologists, but it can easily be used at home. Proper diet is important. Starvation, an insufficient amount of animal food lead to malfunctions of the endocrine system and digestive organs. That, in turn, can cause both nesting alopecia and sharp hair loss in a woman. Mineral substances can help for hair health: vitamins C, D, E and group B; calcium, magnesium, copper, iron; fish oil with acids. What must be present on the table: white and red meat, eggs, fish, fatty varieties, seafood, dairy products, cereals, legumes, grain bread, seeds and nuts, fresh vegetables and fruits, vegetable oils. The more varied your diet, the more vitamins, and minerals your body will get. I think now we have a pretty good idea what causes hair loss in a woman. It is necessary not to fight against it, but rather to carry out preventive measures aimed at maintaining the hair. A proper, balanced diet is the prevention of many diseases. To maintain good, healthy hair we need the optimal ratio of proteins and fats and should not give up carbohydrates. Vitamins, especially Vitamin B plays a very important role in the health of your hair. As in men and women, an important factor is the state of our minds. Stress and depression can lead to balding which in the future is very difficult for any treatment. Of course, to have shiny, thick hair, you need to monitor your overall health. The feedback from many people proves the effectiveness of the above mentioned natural remedies to aid hair loss and improve hair growth. Thanks to these methods, they were able to avoid hair loss, get their luxurious hair back and enhance hair growth. The complex use of these effective folk remedies allows to achieve success for a long time, and perhaps forever, save a person from hair loss. Remember, YOU must find a remedy that will suit your needs, not every product will deliver the same results to different people. All the above folk remedies for hair treatment are proven effective methods to battle hair loss and have almost no side effects. Still, consult your doctor prior to use any natural treatments. If you also have experience with hair loss, or maybe want to share your story leave your personal comments down below. How to prevent hair loss? Causes of hair loss in a woman and discovering the best treatment. \Let's turn to the best natural remedies and restore our hair. I am looking for something for my aunt as she loses a lot of hair. She also mentioned Wormwood but in my town I can’t find wormwood and we don’t have online shopping opportunities. Can we use just one of the remedies above instead of it? and it’s easy to do, and with ingredients, that already are in your kitchen. is a message your scalp for better blood circulation. And the best part it’s free. Thanks again, I wish your aunt the best of luck and come back for more great articles. Love this! Very informative post, been experiencing hair shedding but not knowing why, I really eat well, but I was hearing recently about something called ‘Blood Deficiency’and that it can be handled through Chinese herbs. I like how you put natural remedies, many of them are very accessible. Will try the Aloe Vera, seems promising. Thank you for this article! Thanks for your comments. Yes, I lot of people are skeptical when it comes to herbs and home remedies. But I’m a huge believer in mother nature. We can’t just ignore centuries worth of knowledge because of modern medicine said so. Aloe Vera is a good choice, but again it’s very individual and you have to find something that will work for you. Don’t forget to massage a scalp regularly for better blood circulation-this is a key to healthy hair. Thank You so much for your feedback I hope to see you again on my blog page. I definitely did NOT know about all the things you can do to stop hair loss. And all of the treatments! Onions?! That’s crazy. I will definitely be saving this for the future and passing it along to my friend who has a thyroid problem. this subject and because my wife is going through hair loss I was motivated to find a solution. We are trying a couple of remedies ourselves and I ‘ll definitely get back about the results. Unfortunately, it’s not going to be overnight, it takes time to heal. Love it how you’ve gone into so much detail about these supplements and love it how they’re all so easily available. Thansk for the informative article! for more great articles. All the best to you and your family.